The Health Department offers comprehensive medical services to children from birth through age 20. We accept some private insurances, Medicaid, Health Choice, and self-pay based on family income. The child health clinic offers annual well child visits, sports physicals, kindergarten/daycare physicals, and additional physicals as eligible. We offer any needed vaccines at all child health appointments. 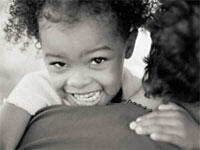 Children can also be seen if they are sick, have a medical problem, or need a medical follow-up. Patients are seen by appointment and same-day visits may be scheduled if available. Call 919-496-2533 Monday-Friday 8AM-5PM for an appointment. Franklin County Health Department offers Care Coordination for Children (CC4C) to all families with children from birth through age five with special needs. This is a comprehensive, coordinated, interagency system of services. Call (919) 496-2533 for more information.